NEW YORK — In 1610, Galileo Galilei peered through his telescope and discovered four moons orbiting around Jupiter, a breakthrough that helped confirm the heliocentric theory that the Earth revolves around the sun, and not the other way around. To mark the 400th anniversary of Galileo's discovery, Officine Panerai, a high-end Italian watchmaker, crafted three exclusive timepieces to pay tribute to the scientist himself. Two of the pieces debuted in January 2010, exactly four centuries after Galileo's pivotal observations, but all three were the centerpiece of an event held here Tuesday (Nov. 1) at the Explorer's Club on Manhattan's Upper East Side. "To celebrate the discovery of those main satellites that Galileo discovered in 1610, we developed three products," said Frank Stalder, director of research and development at the Officine Panerai. "The very big interest in this discovery is it was the first one made thanks to an optical instrument — the telescope. Second, is that it was the first time that we observed some moons turning around another planet than the Earth, so it gave weight to the heliocentric theory versus the geocentric one which was thought at the time by the church." 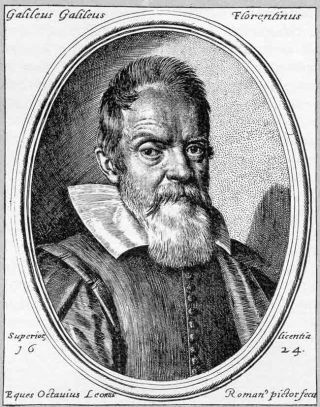 Stalder discussed the significance of Galileo's 15th century find, and how the famed astronomer's work continues to impact modern-day watchmaking. He then presented Officine Panerai's three timepieces that are dedicated to Galileo: two wristwatches called L'Astronomo and Lo Scienziato, and a unique planetarium clock called Jupiterium. Italian watchmaker Officine Panerai crafted this planetarium clock, called Jupiterium, to mark the 400th anniversary of Galileo's discovery of the four main moons around Jupiter. Jupiterium is a mechanical planetarium clock made up of a complex set of instruments that resemble our system of planets, encased in a glass sphere. The "clock" was crafted from a geocentric perspective, which was done to pay tribute to the reigning theory heralded by the church during Galileo's time, Stalder said. "The Earth is in the center, fixed — doesn't turn," Stalder said. "It was the environment in which Galileo used to live. It was a theory that was told by the church, so it's a reminder." Jupiterium is designed to operate as a perpetual calendar that, depending on the terrestrial observation point, shows the positions of the sun, moon, Jupiter, and the four main moons around Jupiter that Galileo discovered: Io, Europa, Ganymede and Callisto. The transparent globe is made up of two semi spheres that represent the two hemispheres. The 12 signs of the zodiac are engraved on the glass and the sphere is studded with stars in the constellations. To celebrate the 400th anniversary of Galileo's discovery of four moons around Jupiter, Italian watchmaker Officine Panerai created this exclusive wristwatch, called Lo Scienziato. The Jupiterium was first displayed at the Nobel Museum in Stockholm in an exhibition called "Galileo's Telescope — The Instrument that Changed the World." The planetarium clock is made up of 1,476 parts and weighs about 243 pounds (110 kilograms). Three copies of the timepiece exist — one is on permanent display at the Museo Galileo in Florence, one will be kept by Officine Panerai, and company officials are deciding what will be done with the third, Stalder said. Stalder called L'Astronomo and Lo Scienziato, two wristwatches also crafted by Officine Panerai to celebrate Galileo and his discovery, the most complicated and most exclusive watches the company has ever made. The special timepieces all celebrate the fascinating intersection of astronomy, history and precision craftsmanship. Officine Panerai is a watchmaking brand that was founded in Florence in 1860, where the original boutique is still located. For many years, the company was the official supplier of precision instruments for the Italian Navy.